This chic, 2 oz. 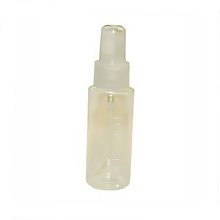 Spray Bottle is a perfect match for the new Sonya Skin Care Aloe Refreshing Toner. A little spray will ensure you reach your destination relaxed, refreshed and "Aloe ready to go".